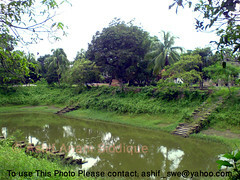 Karatia is very near to the Dhaka-Tangail highway, 8 km away from the Tangail town. 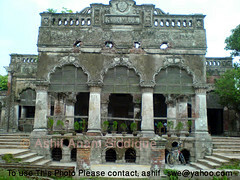 Wazed Ali Khan panni (ওয়াজেদ আলী খান পান্নি), a zamindar of Tangail established this place. 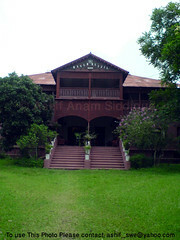 He also established Sadat College (সাদাত কলেজ) in 1925. 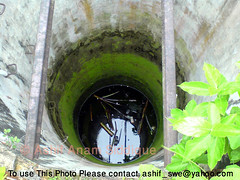 The founder named it after the name of his grandfather Sadat Ali Khan Panni (সাদাত আলী খান পান্নি). 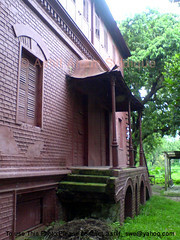 The Land lord house was established in 1906. 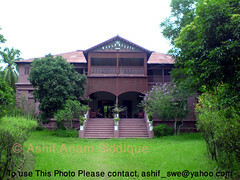 It is an awesome historical structure. 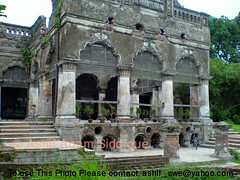 But nobody took any initiative to preserve it as a tourist place. 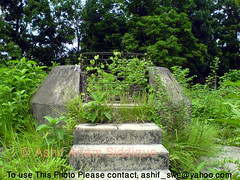 Rokea Hall, which is used as a School now, is very much old to be used and risky too. I think tourists, who get interest in history will find this place very charming.